It’s a dream come true for Grizzly Bear fan as they come to perform an unstoppable show at The Wiltern – make the most of this incredible experience by booking tickets for their Fall/Winter tour dates as they travel across North America! With songs such as I Live With You – these guys will leave you wanting more, with their hauntingly infectious melodies, harmonies, drum beats and sensational guitar! Tickets on sale NOW! 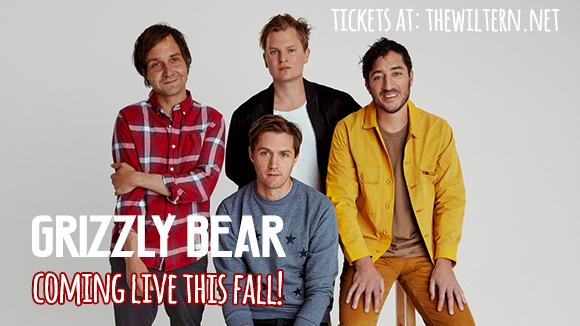 The powerful mesmerising talent that is Grizzly Bear are coming to a venue near you!! Off to a kickass start, Grizzly Bear were titled quoted by Rolling Stone magazine as "the pure atmospheric power of the songs is more than enough to hypnotize." on their first album and the line couldn't be more accurate! If you love melodic, inspiring music, then this is the show for you! "From the get-go, when we were trying to put together a live show, that's when we discovered our sound and that's why I think that was the beginning of the band." A groundbreaking group that will exceed your expectations, don't hesitate – come and catch them perform while you can!